Automatic Pasta Maker - What's Goin' On In The Kitchen? 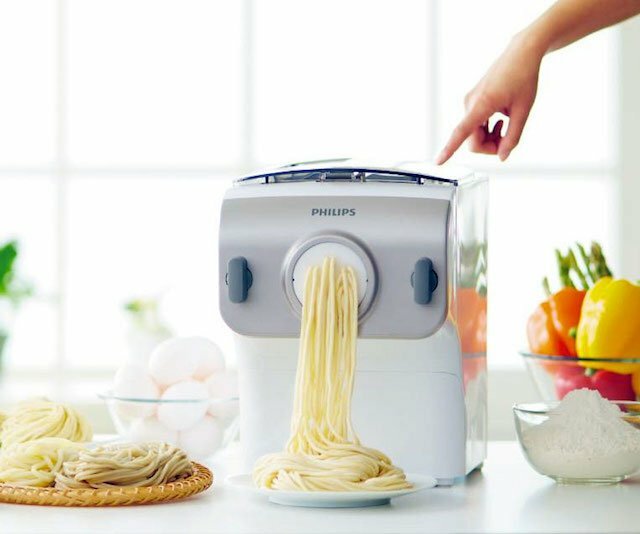 This Automatic Pasta Maker by Phillips is a kitchen must for pasta lovers everywhere. This device can knead and extract 1 pound of fresh pasta in 15 minutes, and will make you fresh spaghetti, penne, fettuccini and lasagna. This awesome kitchen gadget comes with a free recipe book, a cleaning tool and measuring cup. Get this in your kitchen today for awesome fresh homemade pasta. If you love cool kitchen appliances like this one then check out the other cool appliances I found.